Is there any place we enjoy more on a warm spring day that on our deck, with friends, BBQ going, beer in hand? 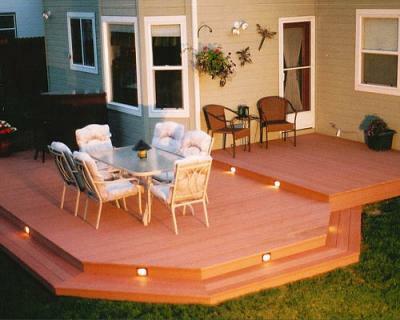 Share your dream deck with us, especially if it was built from Salvage or overstocks! My aunt's multi-level deck... bit small but it makes great use of the space. Nice to sip iced tea on. And here's my own deck after it was made. It's much less new looking, but great for having a barbeque! 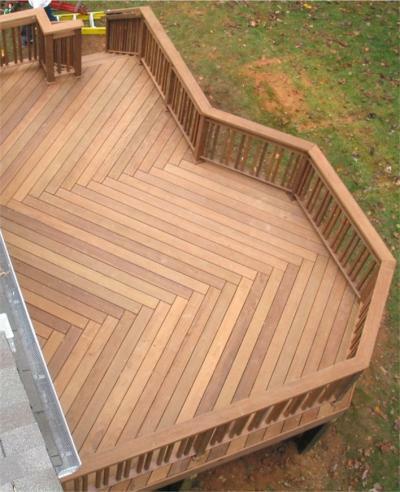 Ipe deck we built for our rental property. It looks amazing and is great for kicking back and having a beer after a long day of renovating.